River Cities Public Transit (RCPT) is a private, nonprofit agency dedicated to providing transportation services to individuals with disabilities, the elderly, low-income persons, and the general public of Hughes, Stanley, Hand, Hyde, Dewey Ziebach, Haakon, East Pennington, north half of Jackson, Jones, and Lyman counties in central South Dakota. RCPT receives funds for the operation of the project from federal, state, and, local sources. These funds help keep fares affordable to the riders in the region who have minimal funds available for transportation, but still need to be mobile in their communities. They are committed to providing safe, reliable, and courteous public transportation to the members of the communities they serve by promoting quality of life, livability, self-sufficiency, and freedom through mobility. Learn more at: rcptransit.com. 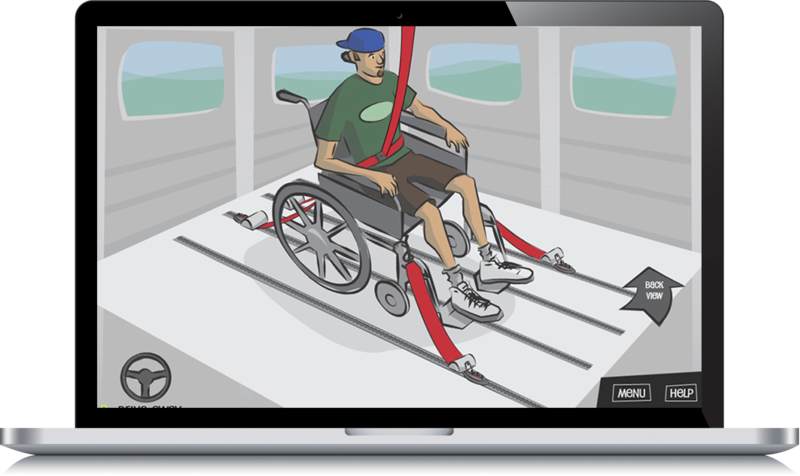 RCPT wanted to address the unique challenges in training drivers of public transportation vans and busses how to secure wheelchairs inside of their vehicles. This is an extremely important task as improper wheelchair securement can lead to great injuries and even death. 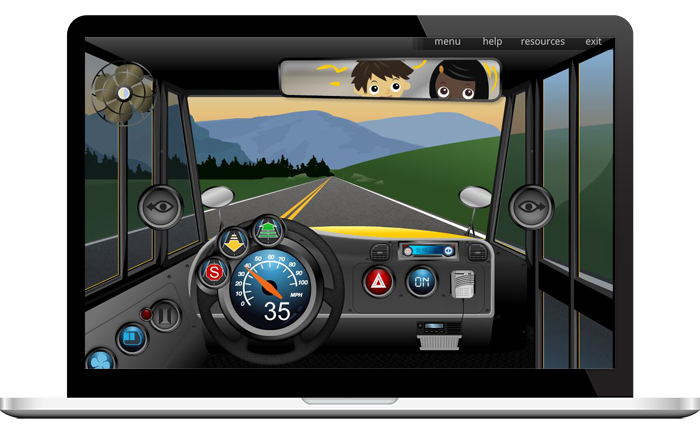 They wanted to allow learners to access this training anywhere, so they needed an appealing online learning experience that they could add to their Center for Transportation eLearning Program. Review a ‘secured’ passenger and decide first, if there are issues, and second, how to fix issues. Sequence the steps to correctly get the common wheelchair into a van or bus. Demonstrate the necessary steps to secure the common wheelchair after selecting the appropriate equipment. Need elearning design inspiration? Check out our interactive demos!